Chaos and Calamity – Travel, History, Politics and other topics. Travel, History, Politics and other topics. Fortitude, solitude and luck. A month in the former Hermit Kingdom. Illicit drug and human trafficking has consistently been one of the most challenging phenomenon knocking at America’s back door for decades. In recent years, immigration numbers and violence have exploded on the border, resulting in a surge of anti-immigration sentiment and increasingly repressive enforcement measures in both the US and Mexico. Most scholars, media and public attention has been primarily paid to the legal quagmire that US officials have had to deal within the southern states of Texas, New Mexico, Arizona and California. However, the recent surges of irregular immigration and illegal activities have been traced from a new source farther south at the boundary between North and Central America. At the strong urge of American politicians, the Mexican government adopted a new immigration policy known as “Programa Frontera Sur” or Southern Border Program (SBP) in July 2014. The aim of the program is primary twofold – to ensure greater protection of migrants entering the country and to increase security and promote prosperity in the region. (Wilson & Valenzuela, 2014.) However genuine the efforts at protecting irregular migrants may be however, there are considerable weaknesses and legal ramifications of the controversial program which should be scrutinized and considered. Furthermore, in an attempt to ‘patch the migrant paths’ so to speak, there has been a proliferation of illegal human trafficking accompanied by greater cartel presence and surges in violent incidents. Finally, confirmed reports of unaccompanied migrant children who were denied asylum and in some cases refouled to their home states have been published raising further legal and moral consequences. With the rise of hardline conservatism in the United States, considerable attention began to be focused on the issue of irregular immigration. While the United States accepts a considerable number of refugees and is home to large irregular immigrant communities, recent attitudes and political rhetoric have began to favor stronger borders and tighter regulation of irregular immigration. However even before this political attitude shift, the Obama administration made considerable efforts to address irregular immigration issues and was the catalyst for the SBP. The secondary reasoning for encouraging Mexico to implement the plan was based on so-called humanitarian grounds, namely the abuse and danger unaccompanied children were facing at the southern border. In recent years, the number of Mexican immigrants actually began to reverse and the newest source of irregular migrants were primarily from Central America. (Donnelly, 2014.) Countries such as Guatemala, Nicaragua, El Salvador and Honduras (henceforth to be referred to as the Northern Triangle of Central America) boast some of the highest homicide rates in the world while cartels continue to battle for dominance of lucrative drug routes. Coupled with government corruption and stunted development, it is not surprising a large portion of Central Americans have begun to emigrate in search of greater opportunities in the US. While a large portion of Central American immigrants are fleeing violence, persecution and alarmingly deteriorated humanitarian conditions, other immigrants flee for socio-economic purposes. This distinction will be important later on in this study. Many stories have begun to emerge of mass deportations orchestrated by the Mexican government under the auspices of security and tighter border controls. Thousands of asylum seekers have consistently been denied asylum in Mexico or discouraged from applying in the first place. Logistically, the Mexican government faces many challenges such as lack of resources, embezzlement risk, and bureaucratic inefficiency. This has a devastating effect on the asylum granting process whereby one individual can expect to wait up to 6 months for a response all the while being held in deteriorated and inadequate detention centers. (Human Rights Watch, 2016.) Indeed, as Castillo (2016) observes, SBP-related generated data over a 2-year period indicated that the Mexican government indeed prioritized detention and migrant deportation rather than investing in asylum granting processes and higher safety standards. In a July 2014 Senate hearing, Ambassador Thomas Shannon stated that a fundamental part in US irregular migrant curbing strategies was to: “[support] the ability of Mexico and Guatemala to interdict migrants before they cross into Mexico.” (Shannon, 2014.) Between October 1, 2015 and January 31, 2016 Mexico deported over 150,000 central Americans, a 44% increase from the previous year. (Castillo, 2016.) What makes the situation even more complex is whether or not Mexico is legally obligated to accommodate the immigrants, and whether those applying for refugee status and subsequently deported against their will constitutes as refoulement. Furthermore, there is a substantial divide within immigrant groups – namely those who are fleeing legitimate dangers (gang-related more often than not) and so-called socio-economic immigrants that migrate for financial reasons. Those who make up the former, from an international law perspective, should be granted protection from further abuses, and paramount to all – should not be subject to refoulement. The problem herein lies both on the wording of the 1951 refugee convention and on Mexican adherence to the convention itself. Indeed, in formal terms, Mexico is party to both the 1951 and 1967 Convention and Protocol relating to the status of Refugees as of the year 2000. The term “well founded fear” and the 4 fundamental categories which define a refugee (those being persecuted for reasons of race, religion, nationality, membership of a particular social group or political opinion) are definitions difficult to apply in the context of Central American migrants however. In many cases, individuals are forcibly recruited into gangs and fear criminal prosecution upon return to their home state. Others are caught in the crossfire of gang conflicts but do not fit easily into any of these refugee categories. International cooperation on the refugee crisis should also seek to go beyond the US. Canada, should take a much more prominent stand on the migration issue and continue to set a high asylum granting standard. As of this year, the Canadian government continues to view the Northern Triangle migration refugees as financial migrants rather than individuals fleeing death and persecution. The problem from the Canadian perspective is two-fold. For one, geographically Canada is an almost impossible destination to reach physically for refugees. Not only would they have to navigate treacherous and overly militarized Mexican migrant routes, but would also need to illegally cross into the US (which these days is an almost insurmountable task) and then cross into Canada and apply for asylum. Secondly, from a Canadian viewpoint, the central American migrant crisis is largely unreported and has frankly been overshadowed by the Syrian refugee plight. While Syrian refugee numbers dwarf those of the Northern Triangle States, this does not diminish the gravity and necessary attention the crisis deserves. Canada has created an image for itself as an accepting and progressive asylum granting state in the international community. If it wishes to continue projecting and setting this standard then it should take a lead in addressing and proactively accepting Central American refugees. Not only this, but Canada also has the imperative to press the international community to re-define the Central American migrant crisis for what it is: a humanitarian and refugee issue. Only in doing so can the dialogue shift from a preventive tone to a solution driven, holistic approach. The Central American migrant crisis is an especially dangerous and increasingly bleak prospect for vulnerable groups within the migrant flows, namely women and children. Women have become particularly targeted and victims of sexual assault or kidnapping on the migrant paths in Mexico with little-to-no criminal investigation following. In the Northern Triangle states, domestic abuse cases are astronomically high and many women flee seeking an escape from the cyclical and inescapable violence. According to 2015 UNHCR study, Women on the Run: First-Hand Accounts of Refugees Fleeing El Salvador, Guatemala, Honduras, and Mexico, both Women and children fleeing from the Northern Triangle states “present a clear need for international protection.” (UNHCR, 2015.) For children the allure and pressures to join criminal organizations in the Northern Triangle states are enormous. Many are faced with an ultimatum, joining a local gang or face violent repercussions or death. Many vulnerable and poverty-stricken youth have no choice but to become involved with cartels and gangs. They are then targeted by local law enforcement and find themselves either incarcerated or fleeing from the law. If they choose the latter, they are unable to return lest they face violent responses from their former gang members or the police. One can see the incredible fragility, vulnerability and precarious situation in which the youth and children find themselves in. The youth homicide rates in the Northern Triangle states are some of the highest in the world, where those that fall in the age range of 15-19 are at highest risk of death. (Lee & Musalo 2017.) The problem herein then lies within the category in which they fit. According to article 1 of the Refugee Convention, the individual(s) fleeing must fall into one of the following 4 categories: a) race b) religion c) nationality or d) membership of a particular social group or political opinion. However, many of the fleeing children and women do not fall so easily into one of these definitions. The violence in the Northern Triangle states is indiscriminate and permeates all levels and sectors of society. The refugee definition found within the convention and protocol alone in this context does not adequately safeguard nor define those fleeing from gang violence or extortion. Looking forward, the task of re-orienting the southern border program from a pull-factor perspective is daunting but not unattainable. First, the short-term values of high apprehension numbers and fewer migrant arrivals at the US-Mexico border should not be considered as a measurement of success. Rather, there should be a significant focus shifted to addressing push factors in the Northern Triangle States. Job creation, corruption reduction initiatives, welfare services, education programs should be focused on first. Indeed, it is in these areas where foreign funding should be concentrated, rather than on enforcement and policing. In 2016, the governments of the Northern Triangle States along with Canada and the US (Organisation of American States), in a high-level round table meeting, met to discuss and set more long-term objectives in response to the migrant crisis. While not a legally binding, hard law convention, the meeting was a step in the right direction. All states unilaterally accepted and acknowledged the gravity of the push factors and the need to address them. Among the various discussion topics, responsibility sharing was the core focus of the discussion. In the area of regional cooperation all states endeavored to: “Enhance regional responsibility-sharing mechanisms to address the situation, including through complementary legal pathways to admission, such as resettlement, humanitarian visas, family reunification, and other legal modalities for regular, safe and orderly migration;” (OAS, 2017) (p. 3.) While these talks were not legally binding, they set an important precedence and moved the focus away from preventive and enforcement laws. In particular, all states agreed that significant improvement in the areas of alternatives to detention, reception conditions for asylum seekers and provision of reasonable access to legal aid was paramount. For the past 3 years the Northern Triangle migrant crisis has become more violent and desperate in nature. Asylum seekers continue to be disregarded and deportation has been consistently favored over resettlement. Fearing capture and refoulement, migrants have been forced to find alternative routes through treacherous and dangerous territory in Mexico, risking their lives greatly. At the request and finance of the US, there has been a significant emphasis placed on enforcement and militarization of the southern Mexican border, resulting in high apprehension numbers and deteriorating detention centers. While the short-term effects were deemed to be a successful measurement for US policy makers, the long-term migrant problem will only worsen if the push-factors in the Northern Triangle states are not properly addressed and given the funding they need. Many migrants find themselves in a legal limbo, where they are denied asylum based on lack of evidence in fearing for their lives. However, statistics and data show that the violence in the Northern Triangle states is worsening and gang violence is rampant. It is clear that the refugee definition laid out by the UNHCR in the 1951-1967 convention and protocol do not adequately include the migrants in this particular situation. Compounded by the criminality surrounding gangs and cartels, leaves the migrants little option but to simply run for their lives to the US. The 2017 San Jose Action Statement is one initiative which re-focuses the source of the problem in the sender states. It is there that the issues should be addressed and where funding should begin to be allocated to. Donnelly, Robert. (December, 2014.) Transit Migration in Mexico: Domestic and International Policy Implications. James A. Baker III Institute for Public Policy: Rice University. Musalo, K., & Lee, E. (2017.) Seeking a Rational Approach to a Regional Refugee Crisis: Lessons from the Summer 2014 “Surge” of Central American Women and Children at the US-Mexico Border. Journal on Migration and Human Security 5, 137-179. UN High Commissioner for Refugees (UNHCR.) (February, 2017.) Northern Triangle of Central America Situation. See UNHCR Northern Triangle of Central America Situation Update (February 2017) P.7 for more detailed priorities and policy recommendations. 요즘 자신감도 동기도 사라졌는데 그래도 어쨌든 열심히 공부해야지. 얼마 동안 한국에 더 있을지 나조차도 궁금하다. 여자친구와 친구들은 내가 힘을 낼 수 있는 원천이다. 가끔은 답답하다. 나를 어떤식으로 표현해야할지 모르겠다. 그래도 아직 많은 시간이 남아있다. I can’t resist putting his picture here. Candid human spirit in one photo. The reasoning behind why I quoted this was twofold. For one, it sort of nuances my underlying motivation for pursuing a new language. This undertaking is frustrating because it not only is precarious, confidence breaking and mentally exhausting but also because it is an objective which one can never be satisfied in ‘accomplishing.’ That is to say, language in itself is layered, multi dimensional and imperfect. The second reason I quoted it was because it seems to incredibly captivate both the source of impulse and nihilism in my endeavor. Will I ever be able to reach the heart of someone in another language, or have I? Language is imperfect. It aims to express a humans feelings but even in our native tongue we more often than not have troubles relaying what we are trying to say. Precisely why I am regretting even writing this, or attempting to… Nevermind that thought. Language X is your native tongue, language Y　is whatever you are trying to learn. Then reader, where does this get muddled. At what point does the barrier between basic complicated expression exist? This barrier moves forward as you progress in a language. Soon you will be able to convey why you’re hungry. X – I am hungry because..
Y – I am hungry because.. Still the same. I think this barrier between understanding and conveying is also susceptible to culture. Where culture A and culture B could have some similarities, the language bridge between culture A and C is all the more precarious. Where does this frustration stem from then? If after 2 years you can convey some basic language to let someone know why you’re hungry, why is it that after 30 years you still might or quite possibly feel like there is a disconnect. I can speak spanish at almost a 99% fluency but that 1% still forces its antagonizing wedge in between myself and those I’m trying to communicate with. I am merely trying to come to terms with the fact. Is the “heart” that mandela is referring to, one attainable by a non-native speaker? If so, at what point do we cross the threshold? Or is it up to the individual. 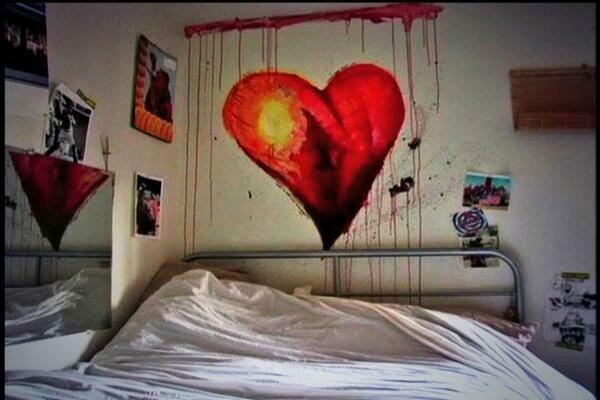 Person 1 can reach person 2’s heart easily but perhaps person 3’s heart is much more difficult to speak to. I wonder all this because　of the sense of frustration I sometimes feel. I　want to, from my most basic human essence, express myself. Of course, this is somewhat possible in English, but how one dimensional is that? Of course our brightest intellectuals, the greatest thinkers of our time perhaps never accomplished this, whether through language or the arts etc. I apologize in advance if you came seeking answers. I have none and to be frank I am more confused at the end of this than I was at the onset. However, I am continually trying to visualize this ‘barrier’ that exists. Why is it that some of my best friends can be figuratively close to me, yet seem at a distance? Normally one associates routine with the mundane or redundant. Granted, the definition gives this conclusion justice. However routine can also be used as a tool to combat feelings of loneliness and isolation. After all, while Korea has provided me with more similarities of home than of differences, it is human nature to long for what you have become accustomed to your whole life. But yes, I said it. 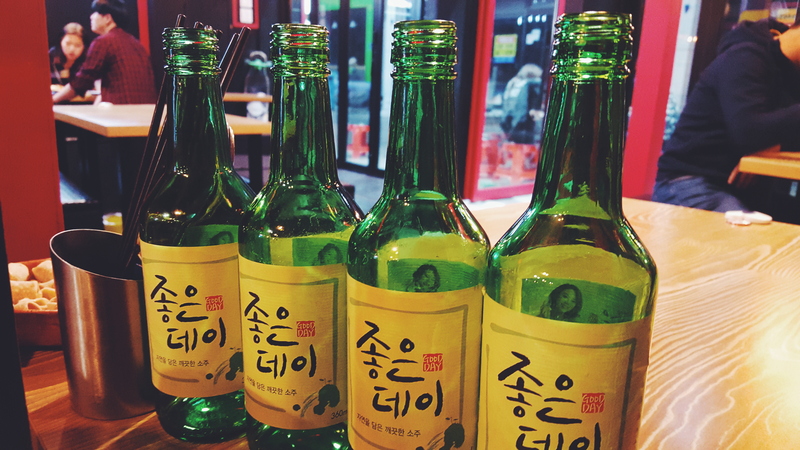 Even Korea, of all places in the world, will surprise you with elements that remind you of home and of life. Granted, in order to see and appreciate these similarities all comes down to the individual experiencing it. In this regard I am appreciative of the pervasiveness and resilience of the human spirit – and the good qualities which at most times surround it; generosity, love, compassion etc. I am more than I would care to admit, bombarded by negative or at least, partially negative sentiments involving issues of homesickness on social media. I am constantly reminded of why I am NOT home, and what would need to change in order to accommodate MY customs, beliefs and/or feelings. I think this is wrong. I don’t believe there is wrong in missing one’s home, but I do think it is ill-minded to approach living in another part of the world with this wayfarer outlook. The world won’t change for you. Neither will a culture that has its roots and traditions cemented in over 2 millennia of history. Even if one doesn’t expect it to change, constantly reminding oneself of what is different, rather than what is similar, will ultimately lead to a much less fulfilling travel experience. That being said, I have been homesick. I am not immune to it, and I feel as though only a small percentile of the human population would not succumb to those type of feelings either. I think the best way to tackle it, is to first admit you are feeling it, and then quickly incinerate those feelings by engaging in activities that make you feel as though you are at home, because, surprise! You are home. For me it ranges from constant restaurant dinners with friends, building meaningful relationships with co-workers and also isolating myself in my apartment with video games and guitar. Yes, I can combat isolation with more isolation, it somehow worked. Hiraeth (n.) a homesickness for a home to which you cannot return, a home which maybe never was; the nostalgia, the yearning, the grief for the lost places of your past. 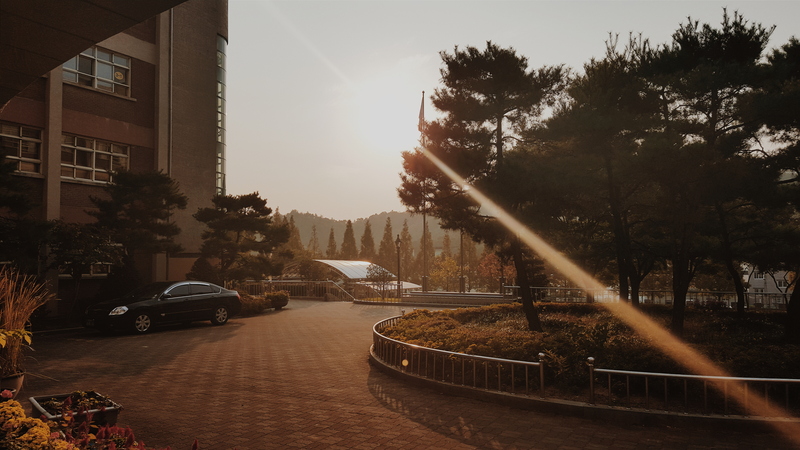 The Chuseok holiday in Korea (North America’s thanksgiving equivalent) this year fell on the final weekend of September, and luckily enough, we were given 2 days’ vacation to celebrate with the only family I know here – my fellow teachers. 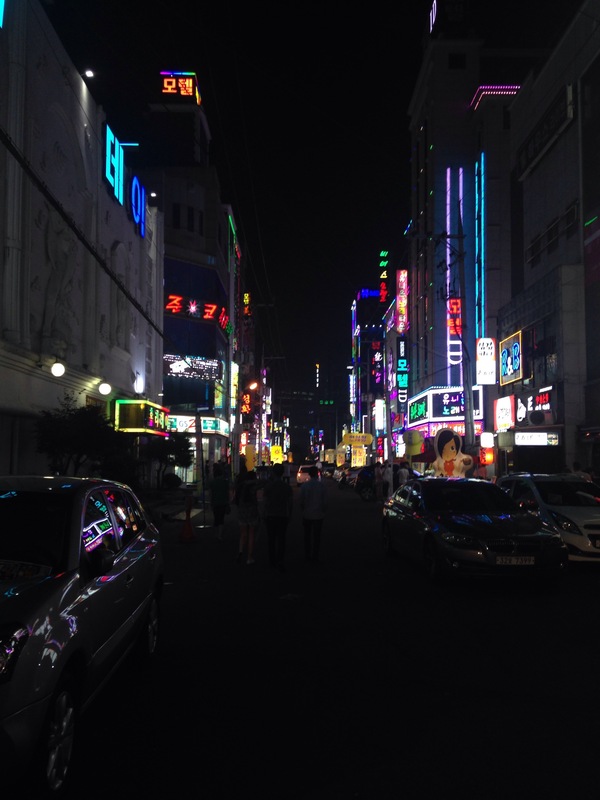 The entire weekend was spent in Busan, a massive metropolis a 40 minute drive from my home. It was an amazing weekend filled with many good memories. The entire experience however was bittersweet. I had a sudden and powerful experience as I laid on the moonlit beach having drinks with my friends. Beside us was a Korean family partaking in what seemed to be a very intimate and bonding activity. One by one each family member took turns lighting a floating paper lantern. Powered by the rising hot air, we would slowly say goodbye to each one as they were consumed by the darkness over the ocean. It was at this moment, seeing them all together paying tribute to their departed relatives that I really longed to be with my own family. But in what sense was this yearning? I had and continue to have what I believe is a powerful immunity to homesickness. Despite this, all it took was one family together doing something I had never witnessed to make me long for something. Was it just a dinner together and casual conversation which I longed for, or was it something else. This sensation was so esoteric and euphoric that I am having real difficulty describing it. Perhaps it wasn’t that I missed my family, so much as that I was coming to a realization that experiences like this were far and rare in between – even in Canada. I was longing for a sense of innocence and joy that one could only feel when they were a child and with their favorite people in the world: aunts, uncles, cousins and parents. But this wasn’t something I could go back to. It’s a nostalgia which cannot be re-lived. What torture it is, to have such a perfect memory of a time and place and to know that it won’t happen like that again. All it took was this Korean family to remind myself of the stepping stone on which my foot was placed in my life. A transitional time, leaving long behind care-free youthfulness and the protective blanket which is your family. 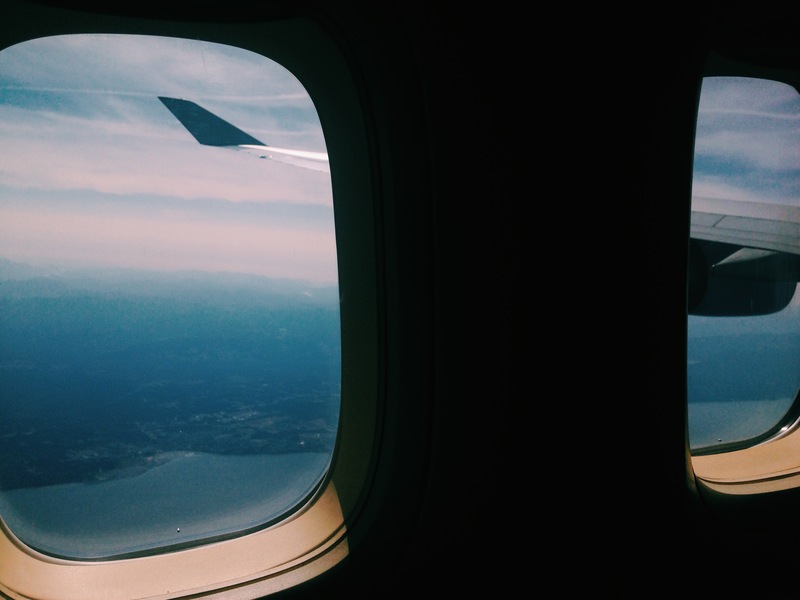 Looking out of a plane window – a time for self-reflection and sometimes deceiving regret. Not everyone can do this. You are unique. You are one of the few, capable of not only accomplishing, but accepting such a task. This notion has been continuously presented to me from a multitude of angles. Although, yes in some essence, I am unique and this opportunity to abandon my western life is something many would not dare to do, I do not believe it takes a certain kind of person to do it. Rather, I think it takes a certain mindset and a certain comfort with oneself to overcome this overly exaggerated fear of the unknown. It is this process which we, as humans, must undergo countless times in our lives. When you choose to overcome it, and to what degree is what separates those who choose to live in the routine and those who, as famously put by Bilbo Baggins – go forward! 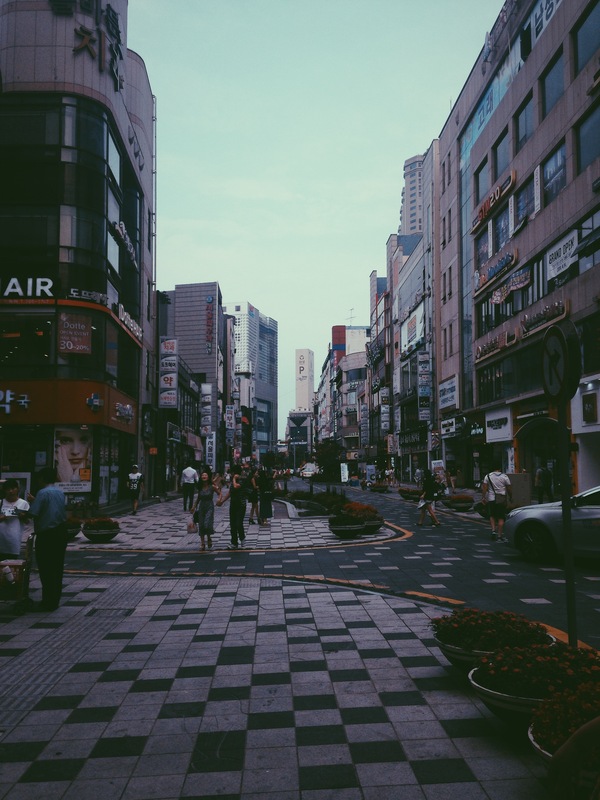 The traditionally ubiquitous Korean street in Ulsan – yet, with its’ own charm. 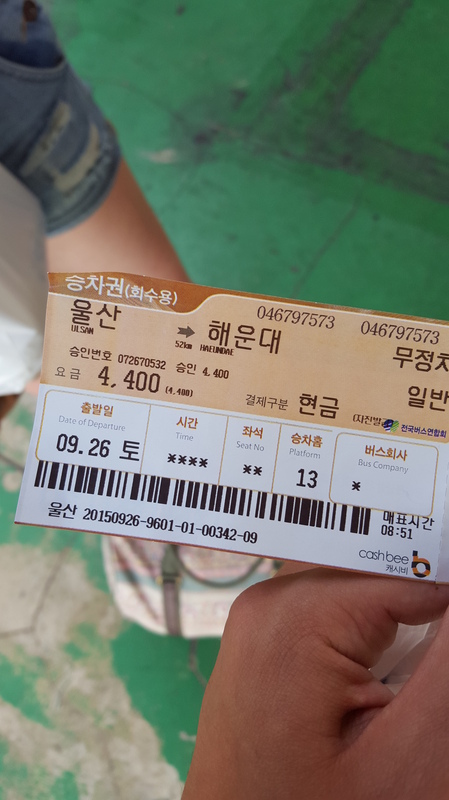 When I chose to come to Korea, I had not actually given it much thought. It just made sense. It was something I had always wanted to do and the expansive set of challenges that would confront me and will soon confront me were not taken into consideration. As such, the decision was spontaneous to say the least. 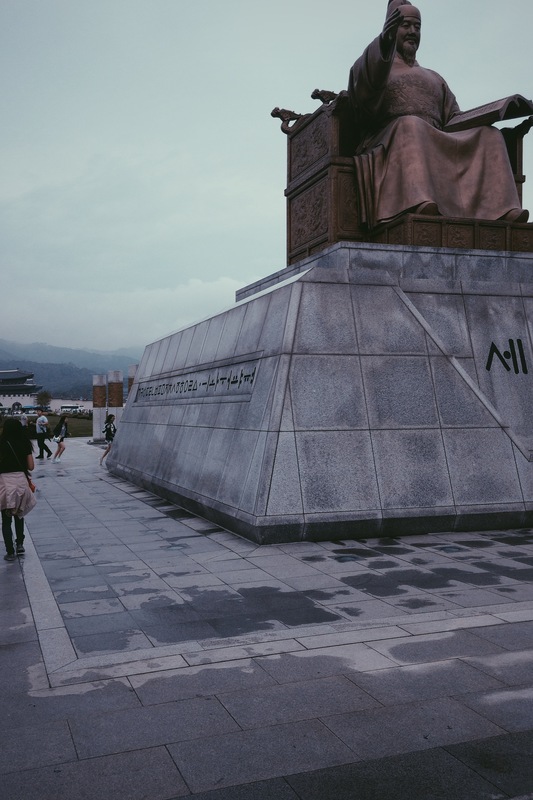 It’s not something you can explain easily, especially when people say “Why Korea?” – to them I say “Why not Korea!” I felt comfortable knowing minuscule things about the culture but unsurprisingly nothing can prepare you for what is under the water. Despite this, taking the plunge was not the difficult part. If you haven’t already noticed reader, I have chosen to deviate from the prototypical travel blog. Instead of writing about what I see, I would much rather reflect on what I think I see, or what I think when I see it. I feel this is a much more rewarding way to write. Postcards, videos, photographs are all nice, but what is most compelling are the inner workings of the mind – or at least a primitive attempt at captivating what is occurring in said mind. I’ll skip the mundane (and excruciatingly bureaucratic) details of the application process. If you knew me at the time, you would remember the constant mysterious shroud that surrounded what/how/when I was going. This was not done intentionally. It was because I literally did not know about anything until a few weeks before my departure. As I’d soon find out, this wasn’t because EPIK or the education system of Korea was flawed, it was because this was an inherent characteristic of Korean culture. Ah yes, “The Korean Surprise.” Sorry, but there is no million dollar home or Ferrari sports car waiting to be unveiled. 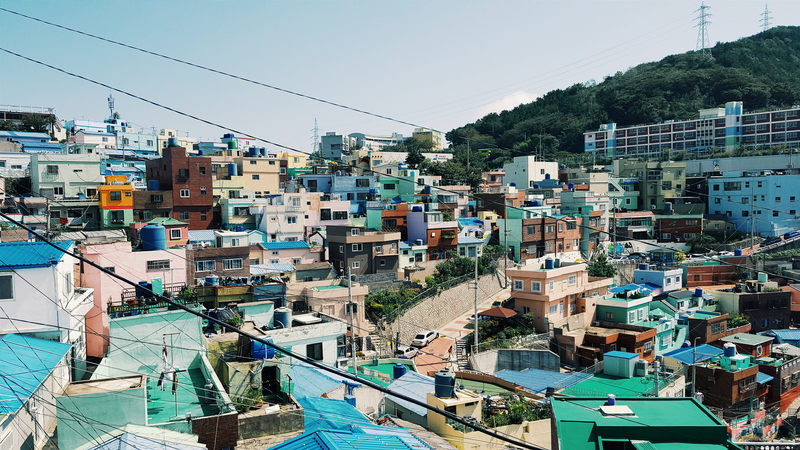 The Korean surprise is just a funny little term westerners use to describe the constantly changing environment of Koreans, and I don’t mean their physical geography. This attitude comes from their tight schedules and efficiency believe it or not. Because of the constant competitive climate of Korean society, decisions are planned and typically well executed, but just done at the very last minute. You must give them credit for all that they do (and have done.) This is where the first characteristic of my journal title starts to make sense: fortitude. Fortitude, in the western sense that is. An ability to be unshaken no matter what is thrown at you. Whether that is a ridiculously meticulous orientation that lasts 9 days while you are still coping with jet-lag, or the fact that you don’t find out about the location or name of your school until the night before you are to depart. Second: solitude. Out of them all, this one is the least surprising. You came half way across the world, leaving behind all that you know. What did you expect? A welcoming party that was at your service 24/7? And it isn’t so much comparable to the solitude of a hermit dwelling in his cave for an entire lifetime, but rather, the solitude you feel when few speak your native language, or when you are a clear minority in an incredibly homogenized society. Teeming with lights, even at the most latest of hours, Korea is not a land for the early risers. Solitude isn’t necessarily an unpleasant sensation. It is rather, one that typically is unbeknownst to us in our daily lives. I don’t consider myself either a extrovert nor introvert but solace is a difficult mood to describe. It is not something I have come to terms with entirely, but something you must get used to if you are planning to live abroad – especially when you do not know the native language. Finally, luck. I don’t believe in luck but ironically enough I included it in this journal entry. If it wasn’t luck then it was karma. And if it wasn’t karma, then it was fate. If it was none of the above then it was just a predetermined inevitable outcome. My home, my school, my co-workers couldn’t have turned out better. Everything, at least thus far, has been nearly perfect. Of course, nothing is without its difficulties and challenges, after all, how much would I change if I didn’t have a challenge to confront to begin with. Indeed, however, if luck truly exists, then I have been blessed with it thus far. Korea is more than I could have ever imagined. Just being here a month I feel as though I have been reborn. A new perspective, a new life, new surroundings and new friends have been exactly what I needed in my life. While it can be a daunting prospect, it is something that more people need to do. Find it within yourself – anyone can do it. Remember that it isn’t about how others perceive you or label you for doing so, but rather it is slaying the proverbial dragon that is the unknown. Whether it is the dark cave, the deep cavern or the blackest depths of the ocean – it is there to be explored and maybe even conquered. Few images evoke a sense of immense struggle and disproportional power than that of the iconic Palestinian boy flinging rocks at an Israeli tank rolling slowly towards him and a group of his young friends. Indeed it was this encounter that began to symbolize the perpetual conflict ordinary Palestinians found themselves in, locked against an encroaching neighbour: Israel. The very word intifada is indicative of not only the events that were soon to unfold, but also by the very sentiment felt towards Israel by disenfranchised Palestinians living in the occupied territories. By 1988 Palestinians were locked into a violently repressed yet highly fueled resistance against Israeli occupation and the intifada would evolve into watershed event for the Palestinian liberation cause. However, despite its ferocity and compass, the objectives, actors and actions surrounding the intifada were far from uniform. Indeed, in the years following the intifada, the Palestinian political landscape became increasingly fragmented, turbulent and sometimes violently at odds with one another with regards to the future of Palestine. In this regard it is then logical to ask, did the intifada accomplish its goals if there had been any cohesive objective in the first place? Or did the intifada in fact exacerbate divisions within the Palestinian political leadership, hindering Palestine from ever successfully achieving its aspirations of nationhood? In December 1987, the Jabalia Palestinian refugee camp in northern Gaza found itself propelled to the fore of a new and unprecedented wave of protest from Palestinians throughout the occupied territories. An Israeli driver had killed four Palestinian civilians and wounded nine others when his truck veered off the road. The refugee camp quickly descended into turmoil, and it was not long before word spread throughout the occupied territories of what had transpired in Jabalia. While Israelis wrote off the event as an accident, Palestinians interpreted it as both a pre-meditated and targeted murder. This incident proved to be the catalyst for the intifada. Palestinians for the first time since 1967 found themselves at the vanguard of their own destiny, using the Jablia incident to begin what would be an approximately 6 year series of revolts, boycotts and widespread civil disobedience. In response, Israel under command of Yitzhak Rabin accelerated his policy that had come to be known as ‘the Iron fist.’ By adopting repressive measures against the protesters, Israelis were soon to be hit with mounting international condemnation. In the West Bank and the Gaza Strip, the Palestinian population has not only lived under harsh military occupation; it has also suffered economic exploitation, blocked development and discrimination in services. By limiting both Palestinian agricultural and industrial expansion by way of both seizing territory and increasing taxation, unemployment and inflation soon began to run rampant in the occupied territories. In the years 1970 to 1986 the Palestinian agricultural sector saw a 25% decrease in Palestinian labour, meanwhile seeing a steady increase in population. The agrarian population therefore became increasingly isolated from their farmland, unable to work and forced to search for alternative sources of income. Arthur Neslen, a British journalist in his work, In Your Eyes a Sandstorm interviews a Palestinian peasant woman: “We will stay here and struggle against them [Israel] forever…we don’t have other lands to go to.” This narrative became increasingly common amongst the Palestinian working class. As economic hardship proliferated so too did the hope for a prosperous and economically independent Palestine. In the Occupied Territories, as in Angola and elsewhere, a dynamic coalition emerged that was based not on class but on a shared perception of a common enemy, and a commonality in fighting that enemy. While both their tactics differed, their motivations remained closely intertwined. However, the intifada was also a reaction to both the disconnect felt between the general Palestinian population and the PLO. The intifada was also a reflection of the increasing frustration Palestinians felt towards the impotency of the PLO who were exiled in Tunisia doing little to improve the situation on the ground in the Occupied Territories. The PLO had traditionally been the all-encompassing cohesive, ideological, political and military platform from which Palestine could achieve an internationally recognized sovereign state. Indeed during the 1967 War, the PLO proved to be the sole vehicle from which Palestine could achieve independence or more realistically, negotiate the infamous two-state solution with Israel. The popular movement in the occupied territories was born, offering a dynamic combination of concrete services benefiting the community and a political context in which nationalist aspirations could be effectively expressed. Self-organization thus became the impetus for not only resistance but also survival in the occupied territories. Palestinians began to rely on one another to try and achieve their aspirations and to react to the repressions instigated on them by Israel. Indeed it was these localized networks that would provide the backbone to the intifada some ten years later. Local merchants, shopkeepers and producers began organizing boycotts of Israeli goods meanwhile providing a local alternative to Palestinians themselves. This was done with the aim of non-violently resisting Israeli occupation with the intent of making the occupation both unaffordable and unappealing to Israeli policy makers. The role of women in the intifada cannot go unmentioned, as it played a pivotal role not only in the successes of the insurrection, but also as a source of division within the resistance. Hiltermann argues: “the women’s struggle [in Palestine] was inextricably intertwined with the overall Palestinian national struggle, which has been dominated by men.” Women’s committees in Palestine aimed to incorporate women into social, political and economic activities. Simultaneously, the working class of Palestine began to do the same. Fatah used these developments to their advantage, encouraging and politicizing the masses to further their own agenda and legitimize their authority. Palestinian women’s movements however differed greatly from those that were occurring in neighboring Arab nations. Instead of attacking the traditional Muslim status–quo in Palestine, i.e. traditional roles of women in Islam, women in Palestine had nationalistic aspirations. Palestinian women attacked Zionist expansion and called for national self-determination. They pursued similar goals as the labour movement that had begun to materialize as a political force around the same time. In addition, Women’s committees transcended social strata. While membership tended to be higher in urban areas, the women’s movement constituted an enormous portion of the intifada in organizing labour strikes and communicating with labour unions. However with the emergence of Hamas and Islamist organizations, women’s movements began to be openly criticized and frowned upon. This created a rift between the increasingly powerful Women’s Work Committee (WWC) and the Islamic portion of the Palestinian liberation movement. The role Israeli-Arabs played in the developments of the intifada within Israel itself are worth noting as they did play (comparatively small,) role in the overall movement. While there was no violent uprising within Israel from Israeli-Arabs, they did however demonstrate at a variety of different times in solidarity with their brothers in the occupied territories. Luckily for the Israeli government, the local Arab-Israeli population chose to pursuit separatism and Palestinian liberation via a political route as opposed to a violent one. Regardless, the Arab-Israelis still played a role in informing and protesting Israeli policies towards the intifada. Both on Peace Day, 22 December 1987 and Home Day 15 November 1988, Irsraeli-Arabs organized general strikes in support of the intifada. However there had been a general lack of unity in the Arab-Israeli camp to effectively organize more effective protests. In addition, there were two principles hindering the Israeli-Arabs from supporting their Palestinian brothers in the occupied territories. One, If Israeli-Arabs began to engage in hostile activities or violent resistance they were inevitably going to face hostile repression from the Israeli government and in turn, the comparatively (with regards to the West Bank and Gaza,) good standard of living they had in Israel would be threatened. Secondly, Israeli politicians were willing to reward Israeli-Arabs for their complacency with political promises, which surprisingly found successes as evidenced in following parliamentary elections. …whatever its formal ideology proclaimed, Hamas from the outset has been programmatically dominated by the concept of resistance instead of, like its predecessors, by the concept of liberation. While Fatah had and will continue to engage in forms of violent resistance, their tendency to commit to diplomacy and negotiation with Israel would be in contradiction to Hamas’ policies. Finally, as noted before the concept of religion remains intrinsic to Hamas policies. While Hamas could not accept the secular ideology of Fatah, it claimed that “the day that the PLO embraces Islam as away of life, we shall be its soldiers.” Perhaps it is far too idealistic to see both Fatah and Hamas fighting alongside one another, but if Palestine were to form a cohesive political unity, then this arrangement would have to be organized one way or another. While the intifada had overall succeeded in some respects, it had failed to do what most resistance movements are born to create: unification. Out of it, multiple factions were born and the insurrection had shaped the overall character of both principle powerhouses Hamas and Fatah. Indeed, it can be said that the intifada itself brought much needed international attention the Palestinian cause and much needed scrutiny of Israeli policies to the occupied territories the intifada failed to unify and solidify Palestinian chances at self-government. The insurrection in fact exacerbated ideological divisions and only made the visions of different competing groups more polarized. Arthur Neslen, In Your Eyes a Sandstorm: Ways of Being Palestinian (Berkley: University of California Press, 2011), 152-153. Michael Bröning, Politics of Change in Palestine: State-Building and Non-Violent Resistance (New York: Pluto Press, 2011), 63. – Intifada – to ‘shake off’ in Arabic, although used in English to describe an uprising or resistance movement. Joost Hiltermann, Behind the Intifada: Labor and Women’s Movements in the Occupied Territories (Princeton N.J.: Princeton University Press, 1991), 3. Hiltermann, Behind the Intifada, 17. Hiltermann, Behind the Intifada, 19. Neslen, In Your Eyes a Sandstorm, 131. Martin Bunton, The Palestinian-Israeli Conflict: A Very Short Introduction (Oxford: Oxford University Press, 2013), 87. Hiltermann, Behind the Intifada, 7. Bunton, The Palestinian-Israeli Conflict, 87. Hiltermann, Behind the Intifada, 41. Hiltermann, Behind the Intifada, 43. Filiu, “The Origins of Hamas: Militant Legacy or Israeli Tool?” 65. Bunton, The Palestinian-Israeli Conflict, 88. Baumgarten, Helga, “The Three Faces/Phases of Palestinian Nationalism, 1948-2005.” Journal of Palestine Studies 34, no. 4 (Summer 2005): 39. 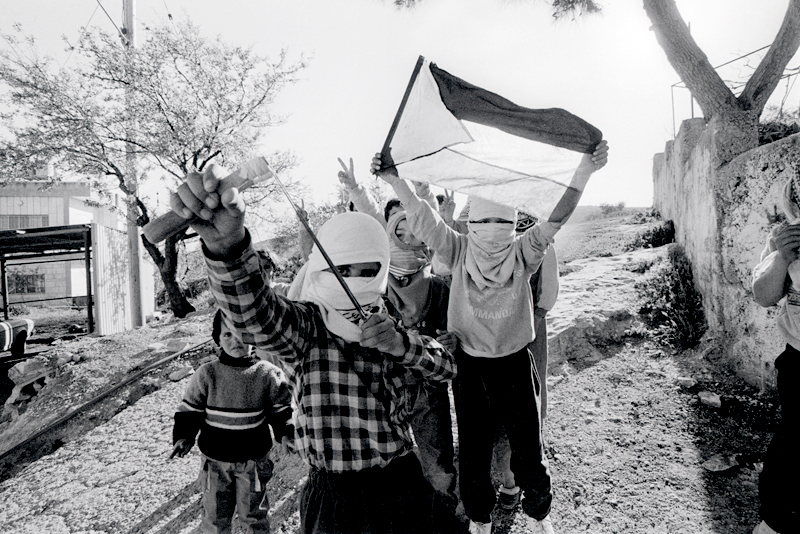 Hiltermann, Behind the Intifada, 126. Alexander Bligh, “The Israeli Establishment and the Israeli Arabs during the First Intifada,” Israel Affairs 19, no. 1 (Winter 2013): 100. Bligh, “The Israeli Establishment and the Israeli Arabs during the First Intifada,” 100. Andrew Rigby, Living the Intifada, (New Jersey: Zed Books Ltd, 1991), 627. Nathan J. Brown, “The Hamas-Fatah Conflict: Shallow but Wide,” The Fletcher Forum of World Affairs 34, no. 2 (Summer 2010): 36. Baumgarten, “The Three Faces/Phases of Palestinian Nationalism, 1948-2005,” 37. In the late 1970’s America found itself in a state of transition. The epoch of détente was ending in disarray, and the hardline neo-conservative Reagan administration in America began to gain immense popularity at the expense of the increasingly condemned Carter democrats. Ending the Cold War by accommodation and peace negotiations would no longer be a part of the American foreign agenda, but the objective would evolve into an attempt at achieving unconditional victory over the enemy. The Soviet Union’s invasion of Afghanistan in December 1979 would usher in a new and unprecedented wave of tension between the superpowers and render the previous attempts at curbing the Cold War irrelevant. The era of Détente had reached its pinnacle with the diplomatic victories of The Strategic Arms Limitation Talks (SALT I) signed in 1971 along with the 1974 summit at Vladivostok and the Helsinki Accords of 1975. The three agreements had significantly improved US-Soviet relations and in the eyes of the public, reduced the threat of nuclear war. Progress seemed to have been made and any actions that could have exacerbated the fragility of the superpower rivalry were carefully scrutinized by both American and Soviet foreign policy makers. Yet, despite the sentiments of peace and tolerance the agreements fostered, the invasion of Afghanistan negated any and all previous initiatives in bringing an amicable end to the Cold War. Moreover, the subsequent American trade embargo on the Soviet Union and the boycott of the 1980 Moscow Olympics ended détente even more abruptly and left a sense of both fear and antagonism between the superpowers. Prior to the revolution, the Soviet Union had established a strong economic and military relationship with Afghanistan. The Afghan military was entirely dependent on economic assistance from the Soviet Union and also aid in the form of armaments, advisors, technology, and infrastructure. In August 1956, an eight-year agreement was signed between the former Afghan president, Daoud Khan, and the Soviet Union. The agreement would entail a $25 million credit given by the Soviet Union in exchange for Afghan goods. After this point, the Afghan military relied solely on the Soviet Union, which gave Moscow uncontested political, ideological, economic and militaristic leverage over the region. Soviet Committee for State Security (KGB) officer Grigory Boyarinov, with regards to Soviet military aid, stated: “Our military support and assistance to the Afghan government was not only to help them but it was to protect Soviet interests and facilitate a move forward.” Afghanistan was a vital geostrategic location to both the Soviets and the West. By exerting influence and protecting Soviet interest in Afghanistan, the Soviet Union had created what was essentially a buffer state on its southern flank. Soon after usurping power, Taraki and Amin began to engage in radical socio-economic reforms that would act in contradiction to the traditional Afghan status quo. Moreover, socialist secular ideals pursued by the PDPA agitated and angered Islamic customs, principles, and establishments in the country. Kalinovsky notes: “A reign of terror was unleashed on two fronts: against traditionalist elements, especially members of the clergy, and simultaneously, against the ‘enemy within’.” The new regime began to face increasing insurgency and rebellion. The uprising of Herat City on the 15th of March, 1979 (just shy of the regimes one-year anniversary) illustrated the disillusion of the communist regime, the violence perpetuated by the growing internal resistance, and the overall lack of legitimacy the PDPA had over the Afghan people. For 11 days, rebels and discontented citizens attacked administrative buildings and both Soviet and communist sympathizers. By the end of the insurrection, over 3,000 people had been killed, which included many Soviet citizens. In the wake of increasing unrest and insurgent activity, the Soviet Union was asked to intervene. Brezhnev and Soviet advisors prior to the invasion were well aware of the diplomatic repercussions they would face if militaristic intervention were pursued. At a meeting of the Politburo, prior to Soviet invasion, KGB chairman Andrei Gromyko summed up the reservations of the Soviet elite: “ . . .indeed the situation in Afghanistan is not ripe for a revolution. And all that we have done in recent years with détente, arms reduction, and much more – all that would be thrown back.” The Soviets knew that the fragile Afghan communist regime was in peril of falling to Islamist fundamentalists. Simultaneously however, Soviet advisors had to measure the diplomatic consequences of intervening. Despite the attempts made on the part of the Soviet Union to try and convince PDPA leaders that the only manner in which they could legitimize their rule would be by reaching out to Islamists, Taraki and Amin neglected to broaden social support. In addition to the rise in insurgent violence, the PDPA began to further divide itself internally. In what was essentially a struggle for power, Amin had Taraki asphyxiated and would assume control of the PDPA upon himself. Andropov intended to make it clear to Brezhnev that if western re-alignment in Afghanistan were to occur, the strategic consequences would be devastating. The intervention was not without its critics. Days before its approval, Nikolai Ogarkov, on behalf of the general staff was quoted as saying “(with regards to intervention,) the public would not understand us – neither the American people, nor the Soviet people, nor the world in general if we introduced those troops . . . “ Despite the criticisms, the intervention moved ahead. On the 25th of December, Soviet troops crossed into Afghanistan. Shortly thereafter, Amin was assassinated in a joint operation of the KGB and the Soviet red army. Babrak Karmal, a pro-Soviet statesman would succeed Amin. The Soviets would soon realize that achieving unification in Afghanistan could not be achieved politically. Fractionalization and sectarian conflict plagued the Afghan hinterlands and the Soviet objective of socialist nation building would be nearly impossible to implement without direct confrontation. As expected, the decision to intervene in Afghanistan was met with hostility from the global community and in particular, America. A UN resolution condemning Soviet intervention was adopted by a vote of 104 to 18. In 1976 Brezhnev had announced that détente would restrict support for communists abroad. The Americans had hoped that détente would bring about an abrupt end to Soviet expansion in the third world however Brezhnev and Soviet officials refuted this assumption previously in Czechoslovakia. In the case of Afghanistan, Soviet officials claimed that intervention in Afghanistan was solely instigated as a security measure for the Soviet Union. Additionally, the attitude in Moscow had evolved with regards to its anticipation to American reaction. Prior to invading, one of the primary concerns with intervention would be the inevitable condemnation of Washington. Despite this concern, Moscow was furthering the principle of brinksmanship. The Soviet Union had engaged in military action prior to Afghanistan in Czechoslovakia, Angola and Ethiopia. Soviet officials hoped that in combination with the deteriorating situation in Iran, the Americans would be pre-occupied and would pay little attention to the intervention in Afghanistan. In addition, the failure of Vietnam had fostered a sense of reluctance in congress and retaliation on the part of Americans was not a concern for Moscow. Washington and Moscow leading up to the Afghan intervention had found themselves at an impasse. Carter had engaged in human rights campaigns supposedly targeting the Soviet Union and from the Soviet perspective, US-Soviet relations were already deteriorating. Let our position be absolutely clear: An attempt by any outside force to gain control of the Persian Gulf region will be regarded as an assault on the vital interests of the United States of America, and such an assault will be rebelled by any means necessary, including military force. It was clear that Carter was making a final attempt in solidifying a more confrontational position against the Soviet Union. The doctrine entailed both a clear unilateral threat to Soviet expansionism as well as a material penalization in pursuing a policy of deterrence. These penalties included a sanction on economic and cultural exchanges, trade, and the threat of boycotting the 1980 Moscow Olympics. While the threats and trade sanctions had limited economic and political consequences on Moscow, in principle they had failed to convince the Soviets to pull out of Afghanistan. Moreover, Carters democrats had plummeted in popularity and the Republican, Ronald Reagan promised for a re-aligned confrontational America. The fact of the matter was that Washington was not necessarily concerned with the strategic implications of Soviet intervention in Afghanistan, but rather, abused the opportunity to rouse public support for American interests in the third world. By condemning Soviet actions however, US national security advisor Zbigniew Brzezinski had to take advantage of the actions and quickly play it as a threat to world security. The reaction from the Muslim world would ultimately be the Soviet Union’s greatest threat. Carter had pledged to support Pakistan in its defense and containment of the communist regime in Afghanistan. This support increased immensely following Reagan’s victory in the 1980 election. On the 15th of September 1981 the US signed a $3.2 billion aid package, half of which was to be in the form of military aid to Pakistan. The implications of this deal were stark and Reagan realized that by supporting the Pakistani military, so too would the US be supporting the mujahidin (Muslims who struggle in the path of Allah) in Afghanistan. Dimitrakis notes, “Washington had an opportunity to present to the Muslim world the notion of the Soviets – rather than the US – as the enemy of Islam.” In addition, leader Ayatollah Khomeini of Iran and the Saudi family of Saudi Arabia condemned the invasion. The Soviet intervention would therefore face two oppositions: Islamist supported guerillas mounting attacks from Pakistan and behind them, the unconditional support of the US. American support had two primary justifications, firstly: the US required a presence in the Middle East and the third world broadly. It had lost its foothold following the ousting of Reza Shah in Iran and western interests had come under intense scrutiny following the era of Nasser in Egypt. Both Pakistan and Saudi Arabia filled the void and would become the agents of American doctrine in the Middle East. Secondly, US foreign policy was dominated by a Manichean view of the world. The US would feel the repercussions of American support to the mujahidin just a few years after the end of the Cold War, however, at the time the infamous bi-polar, zero-sum mentality dominated US foreign policy. This mindset therefore, encouraged participation on the part of the Americans to hinder any and all attempts made by the Soviet Union to gain a strategic advantage, most notably, those in Afghanistan. The Carter doctrine initiated the adoption of a more confrontational style foreign policy with the Soviet Union however; the Reagan administration furthered it even more so. Policies of rollback began to replace those of containment in dealing with the Soviet Union and the confrontational Reagan Doctrine began to be implemented. Détente had begun to be disregarded and any last hope of re-kindling limitation treaties and peaceful negotiations became an unrealistic goal. By 1986 the US had supplied $470 million to the Afghan rebels and most importantly, began shipping the sophisticated ground-to-air Stinger missiles to the mujahidin. By approving the shipment of the Stingers, the Afghan war had begun to turn in favour of the rebels. Knutsen with regards to the Reagan doctrine notes: “the US was willing to match Soviet escalation in the Third World and was capable of raising the war costs to levels which the Soviets would find unacceptable.” The US had begun to take more simplistic yet aggressive measures in combatting Soviet expansionism. By 1987 it seemed as though Soviet foreign policy began to crumble not only due to the rising costs of supporting third world regimes but of increasing domestic and international criticism of its actions. Gorbachev announced the intention to withdraw all of its troops from Afghanistan while simultaneously, Vietnam pulled out of Cambodia and Cuba out of Angola. Reagan and the west seemed to have ‘won’ the war but it was not without its immediate and long-term consequences. Afghanistan had been embroiled in civil conflict for over a century and the deeply divided, arbitrarily created nation had yet to find a suitable leadership and identity. In its attempt at consolidating Marxist-Soviet ideals it challenged the traditional and Islamic customs of its population. In order to protect its interests, Soviet intervention became the favoured avenue. By imposing its military, Washington reacted with both hostility and counter-measures. The subsequent 9 year conflict would bring an abrupt and bitter end to the period of détente and reinforced Manichean foreign policies from both the US and the Soviet Union. The repercussions of the Soviet invasion would be long-lasting and have a profound and deeply antagonistic effect on US-Soviet relations. In aiding Afghan rebels and sanctioning trade, both the Reagan and Carter administrations had abandoned the possibility of a mutually peaceful end to the Cold War. Afghanistan’s divisiveness was exacerbated by the invasion and remained in search of a stable national identity and government structure, of which, it has yet to find. A.Z. Hilali “The Soviet Penetration into Afghanistan and the Marxist Coup.” Journal of Slavic Military Studies 18, no.4 (2005): 680. David B. Edwards, Before Taliban: Genealogies of the Afghan Jihad (Los Angeles: University of California Press, 2002,) 25. Hilali, “The Soviet Penetration into Afghanistan,” 698. Panagiotis Dimitrakis, “The Soviet Invasion of Afghanistan: International Reactions, Military Intelligence and British Diplomacy,” Middle Eastern Studies 48, no.4 (July 2012): 511. Artemy M. Kalinovsky, A Long Goodbye: The Soviet Withdrawal from Afghanistan (Boston: Harvard University Press, 2011), 18. Nabi Misdaq, Afghanistan: Political Frailty and External Interference (New York: Routledge Taylor & Francis Group, 2006), 127. Misdaq, Afghanistan: Political Frailty, 127. Dimitrakis, “The Soviet Invasion of Afghanistan,” 512. Misdaq, Afghanistan: Political Frailty, 125. Kalinovsky, A Long Goodbye, 21. Henry S. Bradsher, Afghanistan and the Soviet Union (Durham: Duke University Press, 1983), 161. Rubin R. Barnett, Afghanistan from the Cold War through the War on Terror (Oxford: Oxford University Press, 2013), 78. Torbjorn L. Knutsen, “The Reagan Doctrine and the Lessons from the Afghan War,” Australian Journal of Politics & History 38, no.2 (August 1992): 198. Since the end of the Franco era that controlled Spain under one unitary dictatorship, Spanish regions have grown to become more independent from the capital and have brought to the fore a new wave of separatism that heavily influences the Spanish political arena. The two most notable regions that historically have been economically, culturally and linguistically unique from the rest of Spain are the regions of Catalonia, which lies on the Mediterranean in Eastern Spain, and the Basque Country, which is located near the northwestern border of Spain and France. Both Basque and Catalonia are the source of regional as opposed to national identification, and in the past few decades have fostered separatist, and at times, violent movements to try and achieve greater autonomy and independence. Even after the democratization of Spain and the institutionalization of a constitution and representative government, separatist politics still resonate and succession is a potential reality for many of the regions, Basque and Catalonia in particular. Yet even after years of desiring full sovereignty, Basque and Catalonia remain solely as autonomous communities within the de-centralized structure of Spain. There are forces both acting for, and against regional separatism, but presently it remains contested as to whether or not the regions will have the capability to achieve full independence. The original desire for independence stems from a variety of different rationale: historical, political, economic, cultural, linguistic, ethnic and so on. They both however, embody the center-periphery cleavage as noted by Lipsett and Rokkan. This paper aims to understand and frame why separatism has emerged with such force in Spain despite the high quality of life index rating and heavy industrial and export sectors which aside from the recent economic crisis, has brought prosperity and wealth to the nation. It will also explore the possibility of regional self-determination and national sovereignty becoming a reality and whether or not it is a viable solution to the problems facing the people of Basque and Catalonia. In order to better understand modern separatist politics in Spain, one must analyze the historical frameworks in which regional nationalism emerged from. The contemporary separatist ethos in the regions can be traced back to the policies of Francoist centralization, where unique languages spoken in the regions were brutally suppressed in favour of the more universal Spanish language of Castilian in order to better promote Spanish nationalism. Franco’s regime urged all its citizenry to adopt a so-called ‘uniform image of Spain’ in all aspects of life. This meant that all symbols of sub-state identity which included flags, anthems, dances, and cultural practices all became either prohibited or heavily discouraged. There are however, differences between the two regions regarding their respective degrees of nationalism. They also, however, share common political patterns and objectives, Dinas observes that: “it has been common practice to treat the issue space in these two regions as bi-dimensional, the traditional ideological dimension being cross-cut by a vertical identity cleavage.” Catalonia, both past and presently, tends to practice resistance within Spanish political networks and exercises a moderate form of nationalism. In contrast, the calls for independency and autonomy in the Basque region tended to have a radical nature and as a result, acts of civil disobedience and protests became normalized. This would eventually stimulate groups to resort to violence in the Basque country in order to advance their call for independence. This originates from a stronger sense of ethnic lineage within the Basque region in comparison with Catalonia. As Beck rightly observes: “[Basque] Nationalist violence has a radical and violent expression, which has survived dictatorship, democratic transition and a liberal democracy . . .” This was also in part, because of mass migrations that occurred at the turn of the 19th century when heavy industrial sectors began to emerge within the Basque country. Castilian speaking citizens migrated in great numbers that threatened the cultural survivability of the Basque. Even before Franco had come to power, the Basque citizenry felt vulnerable of their cultural integrity. Franco’s rise to power only exacerbated suppression and furthered the threat to Basque culture that would later lead to violent responses. Spain’s democratization, despite radical terrorist groups emerging from the Basque region, also provided the foundation for Catalan independence movements and parties to become a viable avenue for political expression. While there were differing ideological camps regarding what Catalonia’s role would be with reference to Spain, the general political consensus revolved around the issue of autonomy and independence. The party, which claimed a hard-line nationalist platform in Catalonia, was and continues to be Esquerra Republicana de Cataluña also known as the ERC or in English: The Republican left of Catalonia. It is also worth mentioning that the more moderate alternative to the ERC, Convergència i Unió or CiU. The two have consistently opposed each other and are the main contenders within Catalonian politics, one calling for complete independence and the latter representing a more moderate approach in achieving autonomy within the Spanish national framework. While the ERC was established before the Spanish Civil War and the rise of Franco, its powers were severely diminished under the regime and wouldn’t reemerge until the 1990’s. Despite being repressed under the vision of Spanish Unity that the regime held, similarly to the Basque country, the majority of Catalonians resisted persistently. Franco’s control over the regions autonomies and cultures from the very beginning fostered a commonality between the Basque and the Catalans in their fight for regional recognition. It is important to note that Spain is formally an indivisible unitary state, one that recognizes de-centralized autonomous communities as mentioned above. In 1979, shortly after Franco’s death, Catalonia was granted what came to be known as a statute of autonomy. While this granted institutional powers it still did not formally recognize Catalonia as an independent state, and more importantly it lacked the framework from which Catalonia could succeed if it decided through referenda. This inability to achieve independence even if the majority of Catalonians called for it, is one of the main problems within Spanish politics, and regularly fuels contention between the two. The criticism towards the statute comes from numerous different parties but in particular, the hard-line nationalist party: the ERC. The ERC continues to feel as though the statute does not grant nearly enough control over some regional institutions and the sentiment is that Madrid retains and abuses its residual powers, specifically financial ones. There have been numerous attempts at reforming the statute in order to appease Catalonian nationalists; one breakthrough in particular, was made in March 2006 by the Spanish congress. The reform included more recognition of the Catalan language, and recognized that it would be according to article 6 of the Statute of Autonomy of Catalonia: “[Catalan as] the language of normal and preferential use in Public Administration bodies…” The reform however was met with little enthusiasm, particularly from the ERC, and the issue of self-determination continues to emerge despite the attempts made by Madrid. There have been numerous attempts in attempting to gauge whether or not both Catalonia and Basque would have enough public support in order to try and amend the constitution and succeed from Spain. One of the most controversial was the 2008 referendum in the Basque region. It was proposed by the political party PNV and set for October 2008. However, to the dismay of both the politicians and citizens supporting independence, the Spanish government prevented it. It was deemed to be unconstitutional and that only the central government had the authority to call such a referendum. Similar to the predicament in Catalonia, even with political support within Basque, they could not organize a referendum for independence. The PNV subsequently attempted to appeal the decision to the European Court of Human Rights, but failed in attempting to deem the prevention of the referendum, ‘inhumane.’ On the day the vote was to take place, over 20,000 Basque citizens rallied across six different cities in the region, protesting the governments decision to prevent the referendum from occurring. While there has yet to be another attempt at organizing another referendum, the protests resonated within the capital and the event itself continues to be the source of antagonism within the independence movements. There are a number of reasons as to why Basque and Catalonia are at the forefront of Spanish separatist politics; partly it is because they have always been the most unique culturally and linguistically within Spain. It is also in part due to the strength the regions have economically; they exercise a high degree of fiscal independence due to their powerful metalworking, food processing and service sectors. They also control a portion of their taxation systems allowing them to exercise a degree of independence in their spending, however they are still required to forward the majority of tax revenue to the national banks in Madrid. Because of their strong economies, and in light of the recent financial crisis, both Catalonia and Basque feel as though they are being held back from their economic potential because of financial management in Madrid. In Catalonia there has always been a sense of some cooperation with Madrid and the rest of Spain. The cooperative nature between the capital and Barcelona (the capital of Catalonia) however has recently been strained because of the 2008 financial crisis. This in part is because of lack of investment from Madrid. Catalonia provides the capital and the rest of Spain with 8.5 percent of its GDP and provides 1/3 of all Spanish exports. In order to sustain the infrastructure and provide adequate social welfare programs to its citizens, Catalonia relies heavily on investment and grants from the capital. Without them, Catalonia would be essentially donating its production and revenue to other parts of Spain free of charge. This has created a deep divide within Catalonia as to whether or not it would benefit from separating from the rest of Spain. On the one hand it would be able to independently export its own goods, regulate taxation in its own terms and handle economic policies. However, succession would also mean little to no investment from Madrid and could potentially have disastrous consequences if Catalonian finance sectors couldn’t find adequate markets to export to. Yet in light of recent events perpetuated by the Finance minister in Madrid cutting investment to Catalonia, the sectarian divides that seemed to have hibernated re-emerged as Catalans claimed the investment cuts were discriminatory and based on selfishness on the part of the capital. The fragility of the economy and the balance between Madrid and Catalonia in terms of investment and economic opportunities has become the spearhead for recent calls of self-determination in Catalonia. Madrid is seen as exploitative in nature and whether or not the investment cuts mentioned above are justifiably implemented; Catalans view it as unfavorable and it could potentially cause another wave of calls for independence. While there is economic rationale behind Basque nationalism and notions of self-determination, the division found most prominently in the Basque country and the one which most identify with is that of ethnicity, culture and language. Conversi in his work The Basques, The Catalans and Spain, describes the phenomenon in the Basque as “a fear of cultural annihilation.” The radical, and eventually violent resistance to assimilation was in response to the threat of Basque culture. At the turn of the 19th century when mechanized modes of production became the norm, heavy industry replaced traditional agricultural practices and suddenly, ancient Basque lifestyles and values became obsolete or destroyed. This in combination with masses of immigrants provided the basis from which Basque nationalism emerged. The embodiment of Basque independence would find its form in the party: Partido Nacionalista Vasco, or in English; Basque Nationalist Party (PNV.) The PNV was founded in 1895 with its ideology laid in the restoration of complete self-determination and a protector of the Basque ethnicity. While it has shifted back and forth between moderate approaches to autonomy, to a completely separatist orientated political movement it has always been the iconic party of the Basque region. Conversi concludes: “Industrialism, urbanization, increased state control, the abolition of local rights and laws, produced an explosive situation that was later to find its political expression through nationalism.” These pre-conditions would serve as the catalyst for Basque separatism although it would not successfully come to the fore as a potential reality until later in the 1980’s. Despite being at the forefront of Basque politics the PNV has not maintained a separatist ethos throughout, but in recent years independence has once again reemerged more drastically and with a radical nature. 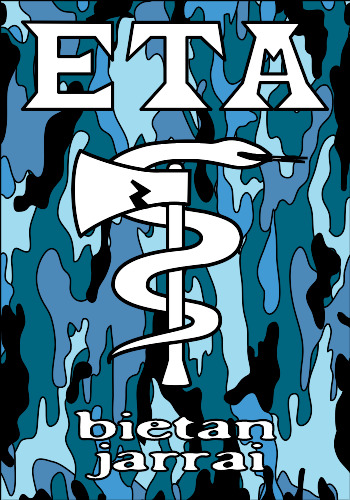 One of these manifestations was the creation of the infamous terrorist organization known as E.T.A or Euskadi Ta Askatasuna, (Basque Land and Freedom,) a grassroots youth organization that resorted to terrorist tactics in order to bring international attention to Basque independence. It was founded originally by a group of university students to discuss and study Basque history and culture. It committed itself only in an intellectual capacity. It wasn’t until they had decapitated themselves completely from the PNV that they realized that their goals of Basque revivalism could only be achieved through political means. The political means would transform into violent ones, in order to bring attention to the issue of Basque independence. Since its conception the ETA has been responsible for the death of 857 people. Despite the Basque country achieving a degree of autonomy after Spains democratic transition, the ETA was committed to its goal of achieving full independence. The ETA used terrorist tactics such as car bombs, assassinations, extortion and kale borroka (street fighting) in order to counter actions by Madrid that in ETA’s view hindered Basque independence. Most notably, the ETA was responsible for the famous 1987 Hipercor bombing. The bombing took place in a supermarket in downtown Barcelona, where 21 civilians were killed. Following the bombing there had been numerous more kidnappings and assassinations but as of 2010, the ETA has ceased to partake in armed struggle. In early 2011 The ETA announced an end to all armed confrontations but made it clear that Basque independence was still of utmost importance. The means by which it would achieve this however would have to be done through democratic processes. In some cases the ETA killings and terrorist activities in the past have proven to be somewhat of a detriment to the Basque independence movement. Most Basque citizens have altogether condemned the groups’ activities in the past and seek to achieve independence through different methods, more specifically ones within democratic frameworks. The ETA has also been responsible for the banning of numerous Basque nationalist parties, weakening the hopes of achieving independence. Such parties included Batasuna, who in 2003 were subsequently completely banned from participating in elections. Up until it was abolished it held around 10% of the vote in the Basque region. While Catalonia has lacked any violent manifestations such as the ETA in Basque, they both share commonality in their search for cultural tolerance, more specifically, recognition of their respective languages. It wasn’t until the end of the Franco regime that both Catalonia and Basque were able to educate their younger populations in the native languages of Euskara (Basque) and Català. Years of oppression led to cultural assimilation sparking great resistance in both territories. Once the Spanish constitution was signed in 1978 it allowed for the autonomous communities, specifically Catalonia and Basque to control their healthcare and more importantly their education systems. In Basque there exists an entirely separate school system known as the Ikastola, an immersive educational institution where Basque is the only language spoken to pupils and Castilian Spanish is taught as a supplemental subject. This is in an attempt to undo the repressive measures that were instilled by the Franco regime. It has been met with both acceptance and a sense of achievement, but also with resistance and protest. Many Castilian speakers who feel loyal to the state but live within the autonomous communities feel as though their rights are being violated. This has been the source for much debate and division between the populations that seek to preserve their native languages, and the populations that feel committed to speaking Castilian. An integral part of the PNV platform in Basque, and the ERC in Catalonia, is the commitment to the preservation of their heritage and languages, and to have the right to educate their youth in them. While attempts have been made in order to preserve a sense of nationality in Spain, the violent uprisings, protests, and referendums for independence have challenged Spanish unity and continue to be the source of political frustration on both sides. Since the Franco regime it seems as though both Basque and Catalonia associate Madrid with the years of repression that they suffered, and national unity is both an alien and forceful notion upon large portions of people. The language, education, history, ethnicity and economy are unique to the regions, and are the main driving factors that have pushed the people in these regions to seek independence. The 2008 financial crisis has also stimulated a new wave of separatism in Spain, where the economically dominant regions of Catalonia and Basque seek to separate themselves from Madrid, from whom they feel hindered by. This in tandem with linguistic differences and past acts of cultural repression have led to both attempts at re-structuring various democratic processes in order to attempt to achieve self-determination and violent measures taken to bring international attention to the calls for independence. It still remains an incredibly controversial issue however, and the Spanish political arenas both at the national, and regional levels have yet to come up with a viable solution to keep the regions self-determined and autonomous but at the same time unified under a single flag. The latter result, based on recent events however, seems to be less and less a realistic objective as regional independence movements seem to have gained momentum. Despite lacking the constitutional framework to try and achieve full independence, if enough support is found within the citizens themselves, succession will be an inevitable outcome and Spain similarly to other nations in Europe, will become divided. Beck, Jan Mansvelt. 2010. “Old and New Perspectives on Basque Nationalism and Violence.” South European Society and Politics 15 (1): 143-149. doi:10.1080/13608740903374494. Conversi, Daniele. 1997. The Basques, the Catalans and Spain. London: C. Hurst and Co. (Publishers) Ltd.
Crepaz, Markus and Jürg Steiner. 2013. European Democracies. Eighth Edition ed. New Jersey: Pearson Education, Inc.
Dinas, Elias. 2012. “Left and Right in the Basque Country and Catalonia: The Meaning of Ideology in a Nationalist Context.” South European Society and Politics 17 (3): 467-485. Gallagher, Michael, Michael Laver, and Peter Mair. 2011. Representative Government in Modern Europe. Fifth Edition ed. New York: McGraw Hill. Guibernau, Montserrat. 2000. “Spain: Catalonia and the Basque Country.” Parliamentary Affairs 53 (1): 55-68. Martín-Peña, Javier. 2011. “The Legitimization of Political Violence: A Case Study of ETA in the Basque Country.” Peace and Conflict: Journal of Peace Pyschology 17 (2): 132-150. Perez, M. (2013, October 9, 2013). Spanish finance minister defends 25-percent drop in investment in Catalonia. La Vanguardia, . Statute of Autonomy of Catalonia – Consolidated Text, (2006): 69. Tremlett, Giles. 2011. “Eta Declares Permanent Ceasefire.” The Guardian, January, 2011. Michael Gallagher, Michael Laver and Peter Mair, Representative Government in Modern Europe (New York: McGraw Hill, 2011), 178. Gallagher, Laver and Mair, Representative Government, 281. Guibernau, “Catalonia and the Basque,“ 58. Jan Mansvelt Beck, “Old and New Perspectives on Basque Nationalism and Violence,” South European Society and Politics 15, no.1 (2010): 145, doi: 10.1080/13608740903374494. Merriman, John, Jay Winter. Europe Since 1914: Encyclopedia of the Age of War and Reconstruction, 1st ed., s.v. “Catalonia.” 5 vols. Detroit: Charles Scribner’s Sons, 2006. “Estrasburgo no admite el recurso del PNV sobre la anulación de la consulta soberanista,” El Pais, February 23, 2010, elpais.com/elpais/2010/02/23/actualidad/1266916643_850215.html. Steve Kingstone, “Basque rallies demand referendum,” BBC News, October 25 2008, http://news.bbc.co.uk/1/hi/7691156.stm. Manel Perez, “Spanish Finance Minister Defends 25-percent Drop in Investment in Catalonia” Vanguardia, Oct. 9, 2013. Javier Martín-Peña , “The Legitimization of Political Violence: A Case Study of ETA in the Basque Country,” Peace and Conflict: Journal of Peace Pyschology 17, no. 2 (2011) : 140. Giles Tremlett, “Eta Declares Permanent Ceasefire,” The Guardian, January, 2011. Norma Tarrow, “Language, Culture, and Early Childhood Education in Catalonia and the Basque Region of Spain,” International Journal of Early Childhood 22 (1990): 52.